The show will mark Arctic Monkeys' first live performance in over three years. 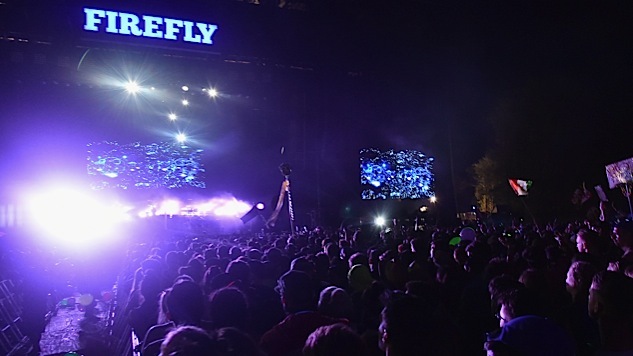 Firefly Music Festival, the annual music and camping extravaganza in Dover, Del., will return to the Woodlands for its seventh year with a bill featuring headliners Eminem, Kendrick Lamar, Arctic Monkeys—playing their first show in over three years—and The Killers. The festival, scheduled for the weekend of June 14-17, will also feature Lucy Dacus, Lil Wayne, Logic, Ron Gallo, SZA, alt-J, Portugal. The Man, Chicano Batman, MGMT and Lukas Nelson & Promise of the Real. General Admission and VIP pass options go on sale Friday at 10 a.m. EST through FireflyFestival.com. Firefly is again partnered with St. Jude Children’s Research Hospital, and various initiatives will benefit their Music Gives to St. Jude Kids program. You can find the entire 95-act lineup here.